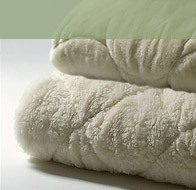 Wooltara, the perfect companion - genuine Australian wool for Quilts, Underblankets, Mattress Toppers and My First Wooly. With pure Australian wool filing, Wooltara quilts have been designed to suit the diverse Australian climate. Wooltara Underblankets and Underlays are 100% Australian wool pile for natural warmth, comfort and extra cushioning. 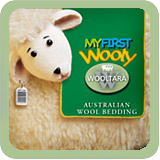 Give your children the best possible sleeping environment with Wooltara's My First Woolly Junior Wooly ranges. Natural cotton japara casing allows air to circulate around the face and neck for more peaceful, natural and refreshing sleep. Wooltara make Australian designed wool bedding made to the highest standards using Australian wool. We want our customers to experience the difference of sleeping with genuine Australian wool bedding of the utmost quality. Wooltara produce an exceptional range of wool quilts, wool under blankets, mattress toppers and pillows - all created to improve your sleeping experience. 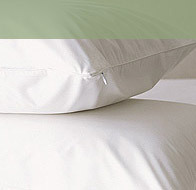 Wooltara, genuine Australian wool bedding - we care how well you sleep.